Have you ever been as safe as in a Mercedes Class E? An all in one digital platform for the next generation car users. The Mercedes-Benz challenge is offering you an exclusive opportunity to be one of the first to play around with 80+ APIs that might be open to 3rd party developers in the future. It's time to build a new mobility & connectivity experience. So give the challenge a go this summer to win the top prize. Develop new and innovative use cases – app or otherwise – using our car emulator, mock APIs, and SDKs, for a chance to win one of the many giveaways and cash prizes worth more than 30K€! If you want to be at the forefront of digital solutions for the future of mobility and connectivity, enter our exciting 8-week Digital Challenge! In the Digital Challenge, you will receive access to 80+ mock APIs, mobile SDKs (iOS and Android), and a car emulator to start building right away. The APIs relate to car chassis, digital keys, points of interest, parking, and so much more. And, if combined with external APIs, the only limit should be your creativity. Front-End, Back-End or a Full-Stack keyboard virtuoso? Create prototypes that leverage the unique database content. 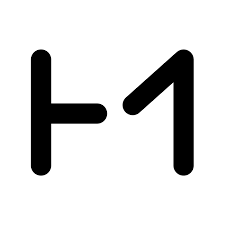 Java is your second language - this challenge can bring your prototype to the next level. Swift and Objective-C are your strong suit - time to show what you’ve got. Car2Car, Car2X, Car2Mobile - you know it all. Grab a keyboard and dominate the challenge. Developers and startups with diverse backgrounds from around the world are invited to participate in the competition. The next 20 best solutions will each be awarded €100 Amazon gift vouchers for their efforts. Additional smaller vouchers and prizes will be awarded to the developers who promote the challenge or reach milestones. 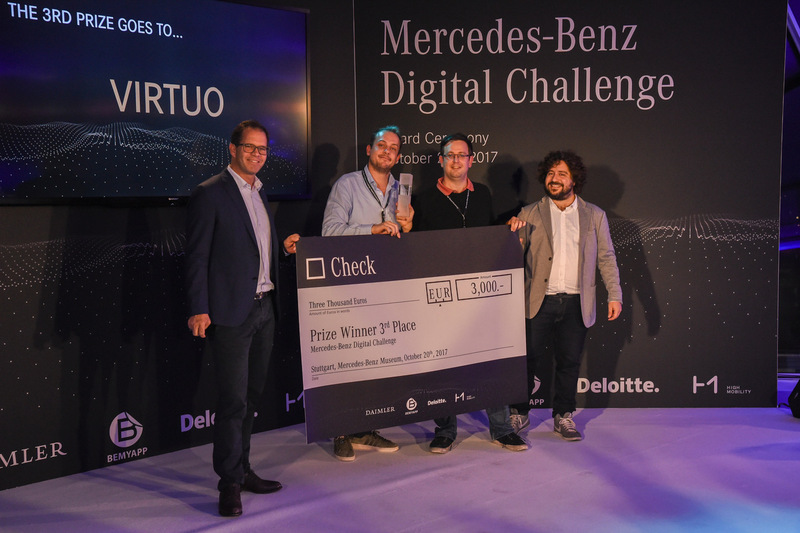 Besides €15K, the winning team will be awarded two tickets to the 2017 Lisbon Web Summit to present their solution alongside Mercedes-Benz. 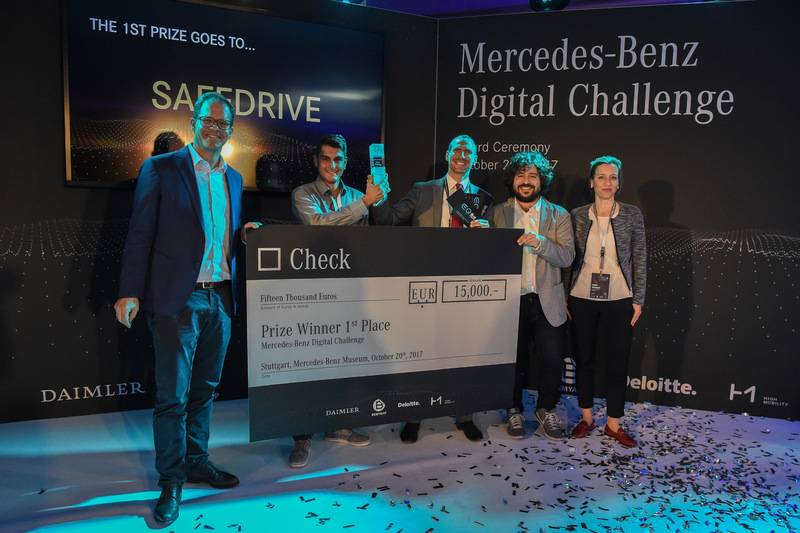 The runners-up will receive €6K and the chance to continue discussions with the Mercedes-Benz team to potentially continue development beyond the Digital Challenge. 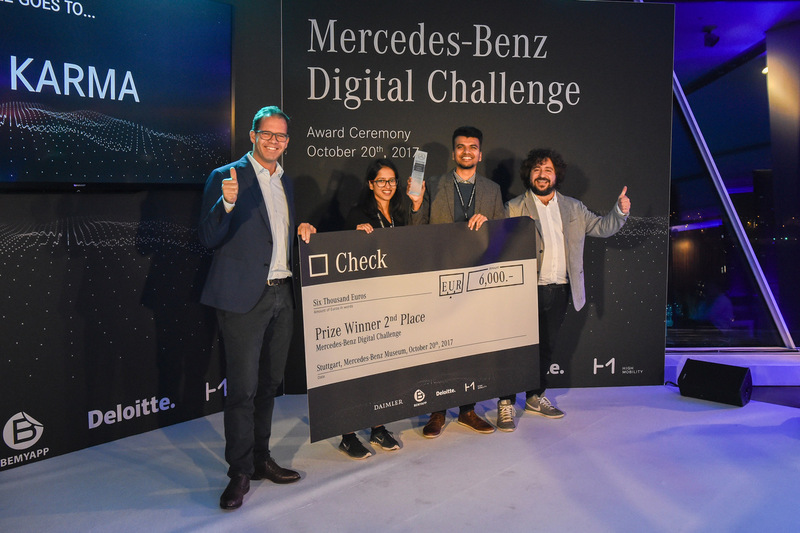 The second runners-up will receive €3K and the chance to continue discussions with the Mercedes-Benz team to potentially continue development beyond the Digital Challenge. This website is provided by BeMyApp.